There is a sense in Washington and Moscow alike that a military showdown between the US and Russia is inevitable – direct this time, not through proxies, like the downing of a Russian warplane by Turkish jets last year. When the big powers are in direct confrontation, minor players step aside and run for cover. When President Barack Obama Friday, Sept. 30 attended the funeral in Jerusalem of the Israeli leader Shimon Peres, he must have realized he was only 514km as the crow flies from Aleppo, the raging crux of the escalating big-power conflict. The moment after the ceremonies ended the president and his party, including Secretary of State John Kerry and his security adviser Susan Rice, made haste to head back to Washington to navigate the crisis. 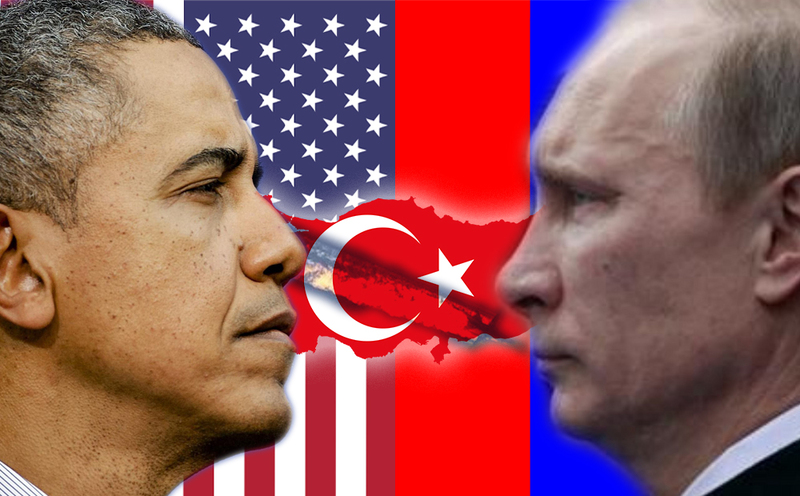 The first step toward a direct showdown was taken by the United States. By now, it is no secret in Moscow, or indeed in any Middle East capital, that the American A-10 air strike of Sept. 17 against a Syrian military position at Jebel Tudar in the Deir ez-Zour region of eastern Syria was intentional, not accidental, as originally claimed. Scores of Syrian soldiers died in the attack. The fact that President Obama instituted a secret inquiry to discover which link in the American chain of command ordered the attack pointed to his suspicion that a high-up in the Pentagon or possibly the CIA, had ordered the air strike, in order to sabotage the US-Russian military cooperation deal in Syria, which Secretary Kerry obtained after long and arduous toil. The concessions he made to Russian Foreign Minister Lavrov in those negotiations, especially his consent for extensive sharing of intelligence, were found totally unacceptable in the US Defense Department, its military and intelligence community. The Russian-Syrian reprisal came two days after the A-10 strike. On Sept. 19, an emergency aid convoy was obliterated on its way to the desperate population of Aleppo. Moscow and Damascus denied responsibility for the deadly bombardment, but no other air force was present in the sky over the embattled city. On the ground, meanwhile, an unbridled onslaught on rebel-held eastern Aleppo was launched Wednesday by the Russians, Syria, Hizballah and pro-Iranian Shiite militias under the command of Iranian Revolutionary Guards officers. The fall of Aleppo, Syria’s second city after Damascus, would give Bashar Assad his most resounding victory in the nearly six-year civil war against his regime. This was a strong hint of the knowledge in the Kremlin that someone in the US administration was holding out against the implementation in full of the cooperation deal agreed upon and was therefore responsible for its breakdown. Either stand idly by in the face of the Russian-Syrian-Iranian onslaught on Aleppo, or shelve the coordination arrangements for US and Russian air operations in Syria, with the inevitable risk of a clash in the air space of Syria or over the eastern Mediterranean.